Hopewell Roofing & Restoration is proud to serve as a leading Flowery Branch roofing company. Founded in the area in 2009, our company takes pride in leaving every property secure and every property owner satisfied. Your roof is the likely the largest feature of your home or commercial building. It’s important to keep it well maintained. We use advanced drone-enabled technology to ensure roofing inspections are as thorough as possible. Visual inspections performed on the roof can potentially damage your shingles or lead to injury. Our upscale inspections give you a close-up view of the condition of your roof while maintaining a safe environment. Hopewell Roofing & Restoration is uniquely prepared to provide all types of shingle repair and replacement. 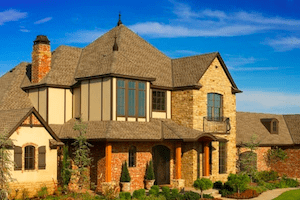 Our status as a GAF Master Elite certified roofing company gives us access to more types of shingles than most companies in the Flowery Branch area. This makes it easier to match colors, styles and designs of shingles in the case of a replacement. If we can’t find an adequate match, they know there isn’t much of a chance of one being available. In these situations, we can help you with the paperwork needed to file a claim for a total roof replacement. Only two percent of roofing contractors can attain GAF Master Elite status. By itself, the distinction is proof of our experience, training and reputation in the Gainesville metropolitan area. When in doubt, waste no time requesting a reference or before-and-after photos. We’ve packed our portfolio with examples from Flowery Branch properties. Just ask for more information. A leaking or damaged roof introduces some major risks to your property. Water damage alone can cost thousands of dollars to remedy. Once mold sets in, your home or business might never be safe again. Let us help you prevent a worst case scenario by coming in quickly to fix your roof. Missing or damaged roofing tiles due to storm activity are pretty obvious and often happen during storms. Periodic leaks and gaps cause the fastest damage. You could need expensive repairs before you even know there’s a problem. Talk to someone about yearly roof inspections today. If your asphalt roof has passed the 15-year point, you might also want an inspection to help prepare for the end of your roofing life. Having a heads up will let you save the money you need and schedule the most convenient time for your roofing needs. 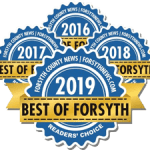 The next time you’re searching for a Flowery Branch roofing company, consider the prompt, professional roof contractors you can trust. Whether you need to replace one missing asphalt tile or an entire gutter system, contact Hopewell Roofing & Restoration. We make your property our top priority.